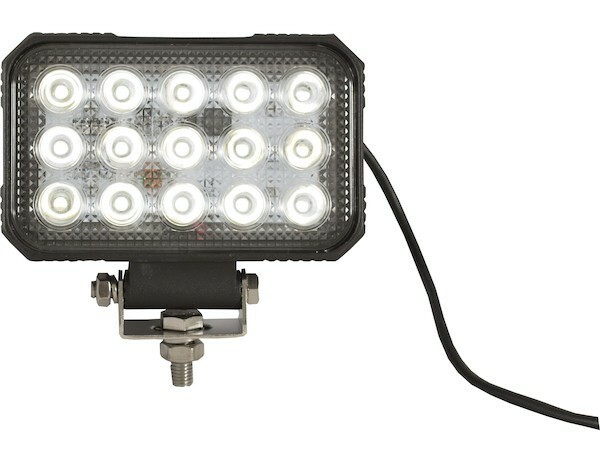 Upgrade to high-powered Led scene lighting for your vehicle with these Super Bright lights! 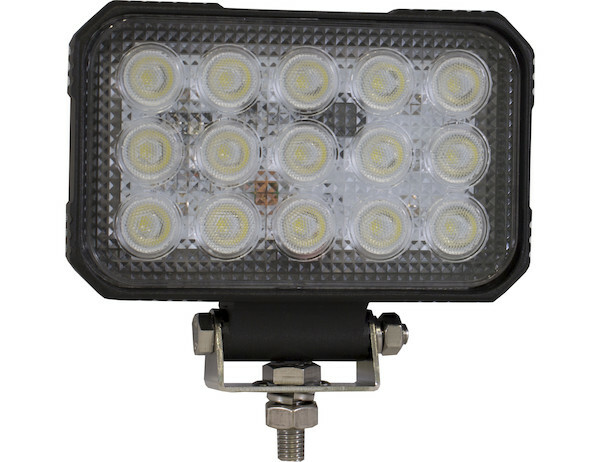 The Buyers Products 5.9" x 4.8" Rectangular LED Flood Light has a die cast aluminum body and impact-resistant polycarbonate lens designed to withstand the harshest elements. This light has 15 high intensity LEDs and provides 4,050 Lumens of light for 167 meters. 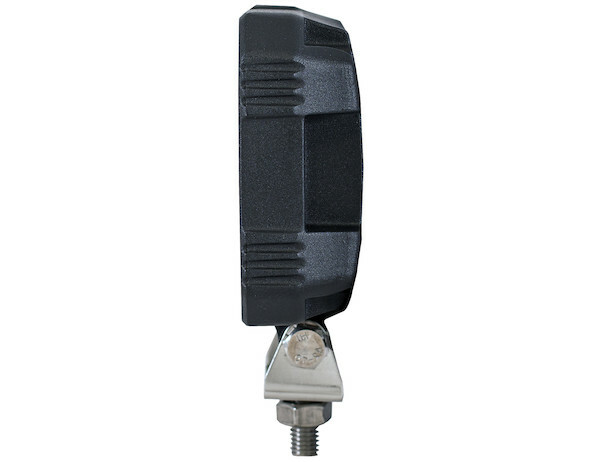 Installation is easy with a stud mount and 18" blunt cut lead. 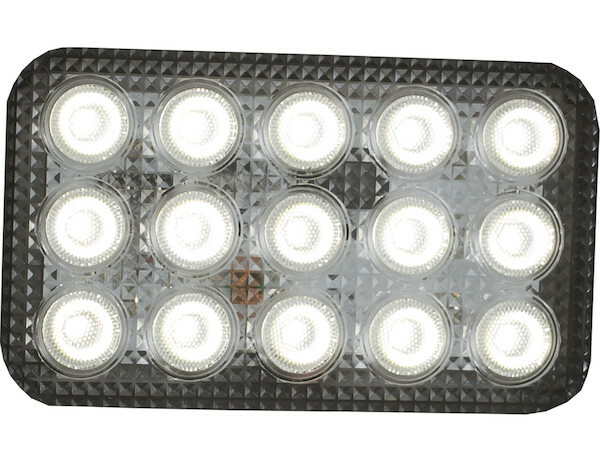 The light is IP67 rated for water and dust resistance. 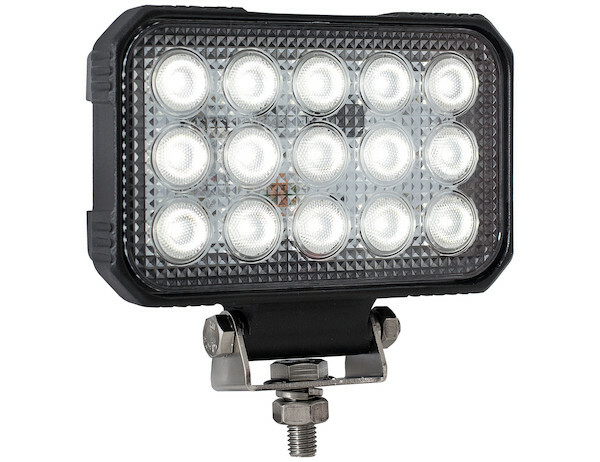 Choose from either Flood or Spot light patterns, depending on your needs. 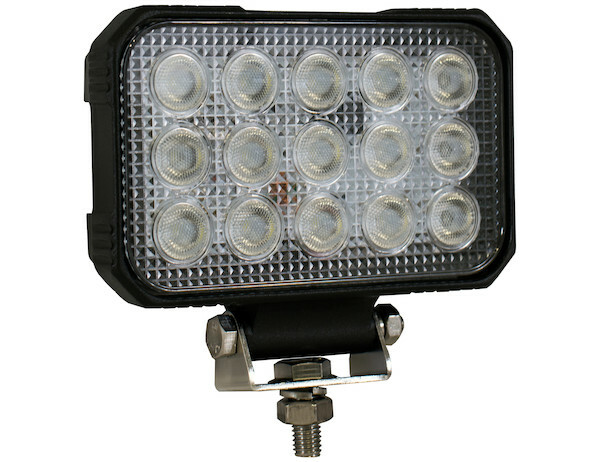 Great for snow plow trucks, salt spreaders, landscaping, police, fire, ems, security, etc.